Jennings Genealogy - Catherine Lasch Wink's death certificate from Schenectady, NY. Father's name is incorrectley listed as William Wink. 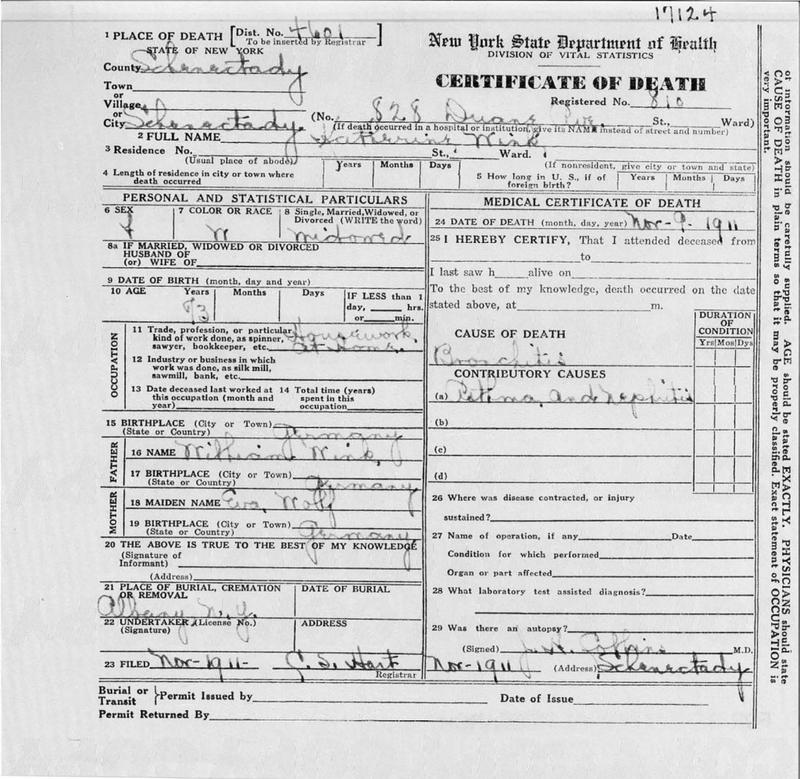 Catherine Lasch Wink's death certificate from Schenectady, NY. Father's name is incorrectley listed as William Wink.